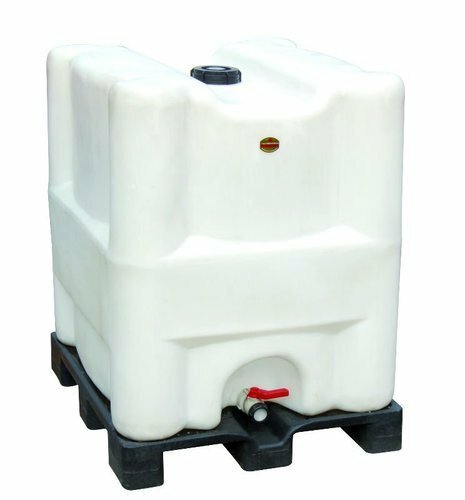 We are instrumental in offering a wide range of IBC Storage Container to our clients. In synchronization with the set industry standards, our provided container is precisely manufactured using high grade basic material and latest technology at our vendors’ end. Owing to its rugged construction and sturdy structure, this container is widely appreciated among our precious clients. Furthermore, to ensure the best quality, the offered container is tested by our quality auditors against different quality parameters. Incepted in the year 2013, in Noida (Uttar Pradesh, India), we “A To Z Industrial Solutions” are the distinguished trader and supplier of premium quality Material Handling Equipment and Spare Parts. Our offered products are Pallet Truck, Electric Stacker and Forklift Truck. Our offered products are precisely engineered under the surveillance of trained professionals using optimum grade material and contemporary techniques in adherence to set industry standards. These products are widely used in different industries for various purposes such as conveying heavy material, transportation, lifting, packing, etc. The offered products are strictly checked on different quality parameters before being dealt to our clients assuring their flawlessness at user’s end. We offer these products to our clients in different specifications as per the exact information laid down by them. In order to offer these products with perfection, we have set a spacious and well-equipped manufacturing unit. Apart from this, we also provide Maintenance and Repairing Services for our offered products. We deals in some prestigious brand like Godrej, Lokpal and Neelkamal.